It is the fifth accident involving the modern made-in-russia training aircraft. Only three days after the accident involving the Tupolev Tu-22M3 heavy bomber during the landing at Shaykovka Airbase, another plane of the Russian Air Force suffered a crash. It is a two-seater Yak-130 advanced jet trainer. According to a source from Borisoglebsk AFB, the plane was conducting a training flight and began to lose altitude rapidly while on the northern part of the Volgograd region. On board there were Cadet Ivan Klimenko and Instructor Sergei Zavoloka who were ejected without serious injury. The pilots were transported to the Borisoglebsk military hospital in a state of shock. It was the fifth incident involving a Yak-130, four Russian Air Force aircraft and one Bangladesh Air Force. The first occurred in June 2006 in the Ryazan region, the second during a flight test at Liptesk training centre in May 2010, the third in the Astrakhan region in April 2014, the only case where a pilot died, and the last one happened only 2 months ago, July 2017, when a Bangadesh Air Force aircraft crashed in Chittagong District. 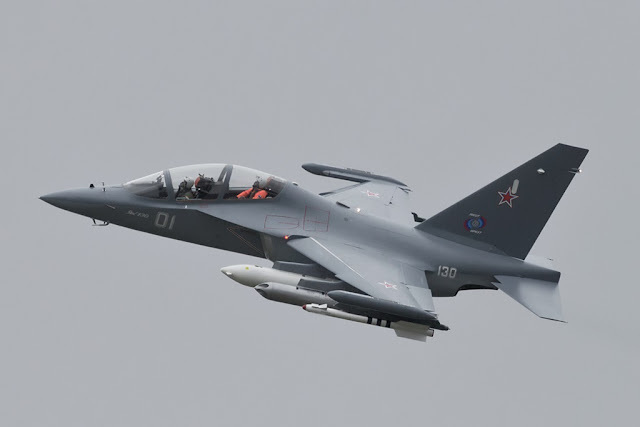 The Yakovlev Yak-130 (NATO reporting name: Mitten) is a 4+ gen. subsonic two-seat advanced trainer aircraft originally developed by Yakovlev and Aermacchi. It is also capable of performing light-attack and reconnaissance missions. The aircraft is included in the fleet of six nations: Algeria, Bangladesh, Belarus, Myanmar, Russia and Syria.